There was movement at Roe Hills station. That drilling for nickel was happening several feet below the ground. Not to take anything away from Banjo Patterson’s timeless poem, but there’s poetry in motion occurring just 75km from Western Australia’s world-class Kambalda nickel field. That’s where Mining Projects Group’s (ASX:MPJ) just began drilling at its 100% owned Roe Hills nickel project. At Roe Hills, MPJ has identified numerous new high-priority bedrock electro-magnetic (EM) conductors which have continued to be delivered with the company’s ongoing geophysical programme. Just last week, MPJ moved its drill rig to site . Earlier today , the drill bit punctured the earth above MPJ’s Talc Lake prospect. 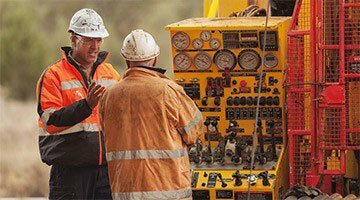 Following Talc Lake, MPJ will move the rig to its other highly prospective prospects, and drill inspect them immediately. MPJ’s targets have been delineated across the significant 40km long strike zone identified by the company... which means there is more than enough room for several major discoveries. At the same time, success is no guarantee here – minerals exploration can be a game of chance at the best of times. MPJ’s targets will be tested as part of a drilling program of up to 5000m of Reverse Circulation (RC) and diamond drilling. So the next few months are shaping up nicely for MPJ, and we are anticipating a steady stream of news flow as it drill tests each target – any one of which could be the game changer investors are waiting for. And to butcher Banjo Patterson once again, their intention is to make MPJ a household word today. 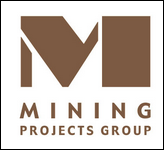 Recent surface geophysical surveys (Moving Loop EM & MLEM) are ongoing at Mining Project Group (ASX:MPJ)’s Roe 2 prospect and they have identified five new strong bedrock conductors located in what the company’s world class technical team considers to be ‘favourable geological and structural positions’. This means the targets have all the makings of a potential new nickel discovery, right next door to the Kambalda nickel region containing all the big nickel players infrastructure including smelters and refineries. This is a region that has produced nickel for 60-plus years from large, commercial nickel discoveries – which are made on a relatively regular basis here in the scheme of minerals exploration – and the region continues to reveal more and more nickel. All five targets have been prioritised for drill testing as part of MPJ’s recently commenced drill program. Two of the new conductors are located immediately north and south of nickel mineralisation intersected in previous drilling. Three conductors are associated with a previously untested ultramafic sequence defining the western margin of the ROE2 sequence. FLEM surveys are in progress to refine targets prior to drill testing in the coming weeks. Looking at these results, the project is moving ahead nicely and MPJ would be quietly confident that a substantial nickel discovery may not be too far away. However, at the same time MPJ is a speculative stock, and investors should seek professional advice before making an investment. Roe Hills is the focus right now for MPJ, and is currently garnering all the attention from MPJ’s technical team. 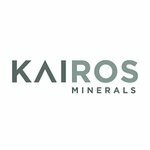 Roe Hills is situated next door to the famed Kambalda nickel region, which is highlighted by several large commercial nickel discoveries. 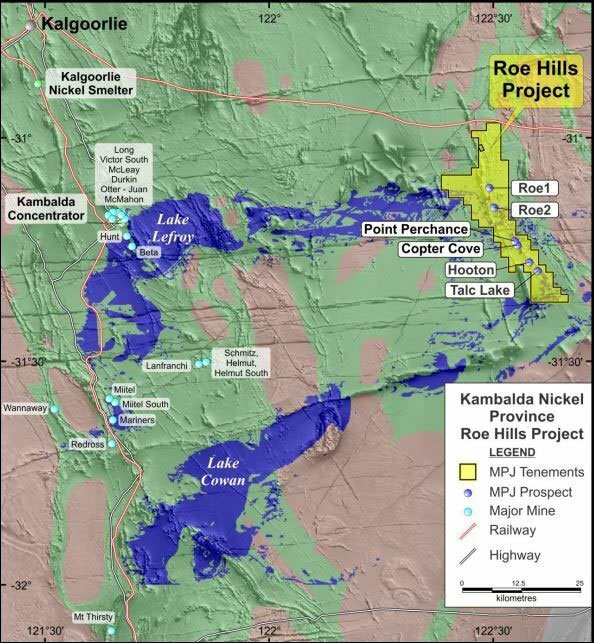 The Roe Hills Project has unveiled multiple nickel targets to date, with all prospects lining up to create a 40km nickel sulphide strike zone. The ROE2 targets are part of a package of numerous high priority targets that are highlighted as extremely prospective. 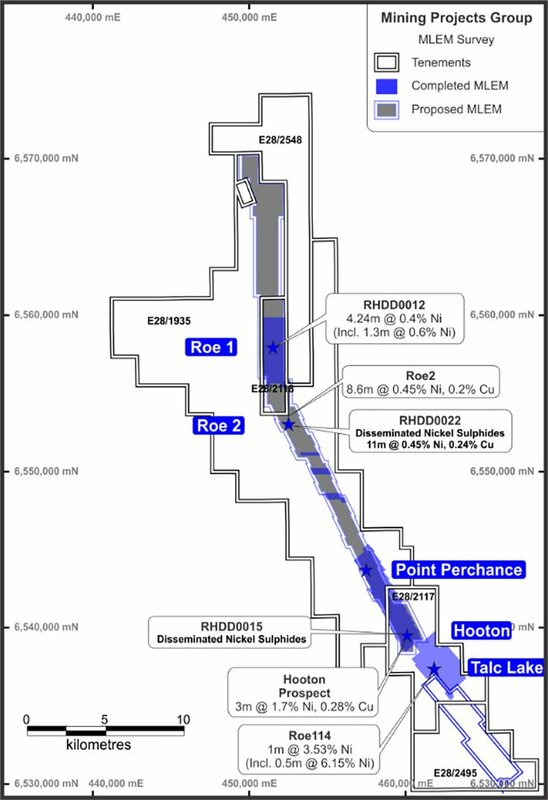 ROE2 is situated in the middle of the Roe Hills Project approximately 30km north of Talc Lake and about 5km south of ROE1. ROE2 essentially comprises of 3-5 separate prospective ultramafic cycles all of which are hidden beneath transported cover which has resulted in standard historical exploration methodologies to date being largely ineffective. Yet, as in other parts of the project area, repetition via folding and/or faulting significantly increases the amount of ultramafic basal contact available to explore at ROE2. This opens the door for MPJ. Now MPJ can conduct its fully funded exploration in the knowledge that it is drilling in what could end up being a highly lucrative project. At the same time, MPJ is a small exploration stock and it’s recommended that professional advice is sought should you be consider an investment. As we mentioned earlier, MPJ is undertaking up to 5000m of RC and diamond drilling at the Roe Hills Project before the end of the year. With drilling set to kick off in the coming days, a crack technical team is working feverishly behind the scenes to firm up Roe Hills’ refined sweet spots. Leading the team are several mining luminaries. The most recent addition to the team is Robin Hill, a geoscientist who had a central role in discovering the Mt Keith, Emily Ann, and Maggie Hays nickel finds. Hill also led the CSIRO’s magmatic ore deposits group for more than 30 years and helped establish the geotechnical models which led to many of the nickel discoveries in Western Australia over the last two decades. Technical Director Neil Hutchison, who has over 20 years in mining and was formerly the Superintendent of the Cosmos Nickel Team. He also led the Poseidon Nickel team to develop the resource and reserve base at Mt Windarra, leading the team to a new Greenfield discovery named Cerberus. With MPJ’s team working closely and drawing on their combined decades of experience, MPJ is efficiently moving towards hopefully unveiling the next commercial nickel discovery in WA. Ongoing exploration at MPJ’s 100% owned Roe Hills Project continues to identify high priority targets which will be systematically drill tested over the next coming weeks and months. In fact multiple new nickel targets have been identified and the 5000m drill program has begun, with the first hole in progress at Talc Lake Prospect. Drilling aside, several favourable results have already been delivered by MPJ, including the identification of more than 18 “Category 1” conductors that are located immediately north and south of nickel mineralisation intersected in previous drilling. 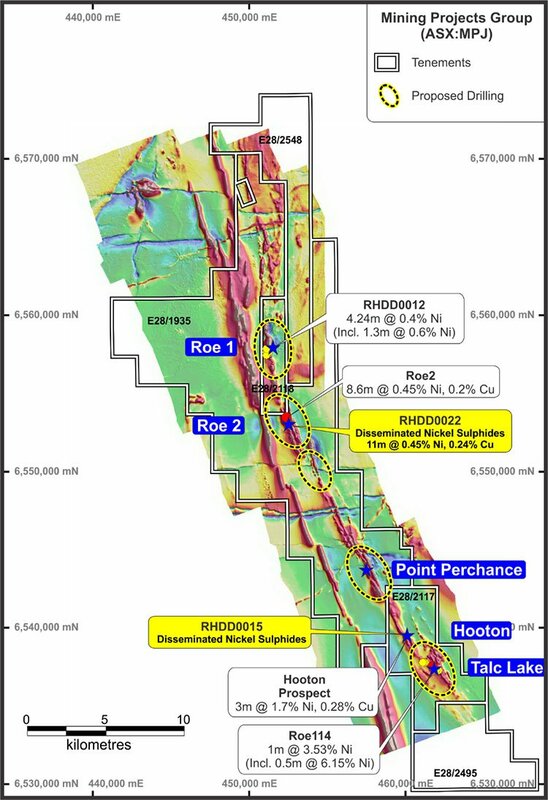 Just recently, three conductors were detected at ROE2 that are associated with a previously untested ultramafic sequence defining the western margin of the ROE2 sequence. While there is still a lot of work to be done, MPJ’s exploration team has high expectations for its Roe Hills Project and the company is continuing at a cracking pace in its efforts to identify the next world class nickel discovery.